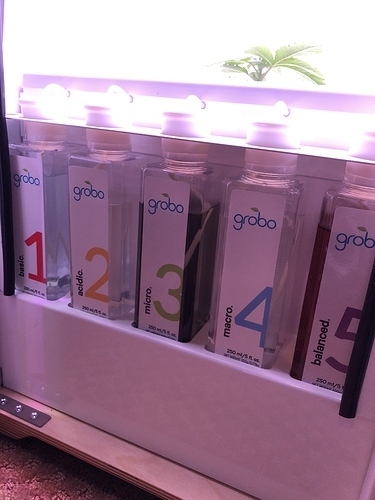 Hey @Stephen and the rest of the grobo team I recently encountered an issue Not sure if the nutrients are supposed to be at these levels on day 14 so im just curious to see if the grobo is running correctly and the ph levels are fine. 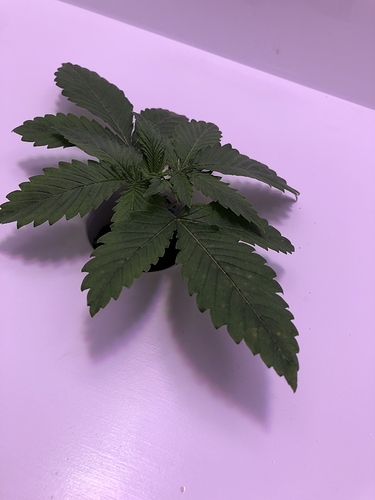 I also noticed some spots showing early on the lower leaves and snipped them off to prevent the spreading but im not sure if I’m doing anything wrong. Any help would be appreciated. Are you using filtered water or tap water? @ToddYYC I’m using Distilled water as instructed. Mine were like that also and I was ok. Some others have had leaks though you’ll know soon either way. Fursure yeah imma wait it out and see what happens could be too early to tell and the problem might fix itself. If the issue continues, please send a ticket to support@grobo.io.